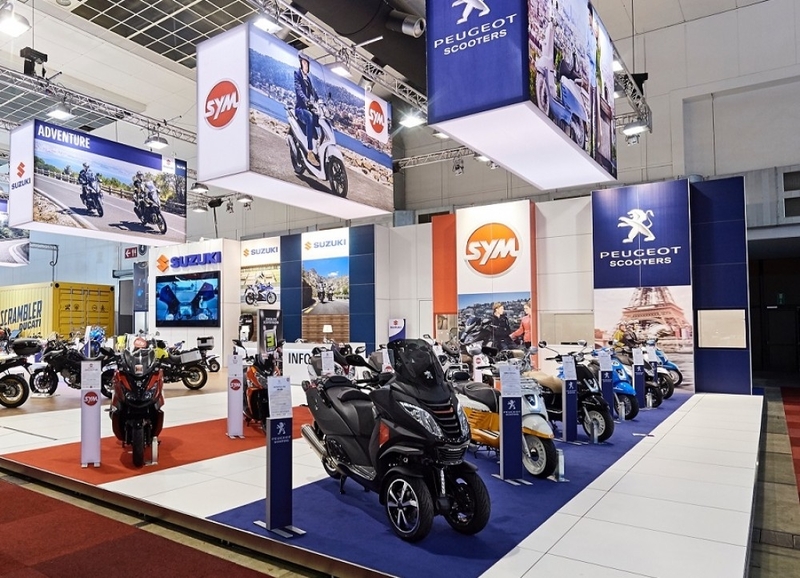 Whether you are a first exporter or a confirmed player, participating in international trade fairs represents a significant investment in terms of reflection, organisation, money and time. So don’t hesitate to be supported by the industry’s professionals. They will help boost your return on investment and save you valuable time. From a transportable booth to a 100% made-to-measure one-off or reusable kiosk, whether for purchase or rental… based on the number of events that you participate in, the exhibition locations, your surface areas... and your budget, we will seek the best solution. Over time, our crews have built a good knowledge of the different exhibition sites and their regulations, technical constraints, transport solutions, etc... This experience ensures effective coordination of your projects. Based on your budget, the fair schedule, your surface areas and possible development of your communication, our architects will develop a personalised project. They evaluate how to reuse the materials, furnishings and structure, making intelligent and environmentally friendly choices! For a more limited budget, they work with standard constructions that they personalise through qualitative graphic communications. We work with beMatrix aluminum structures which can be adapted to practically all designs and which can combine rigid and/or printed textile enclosures. A higher available budget allows incorporation in the construction of your booth of architectural elements and “tailor-made” furnishings, made only for one booth. 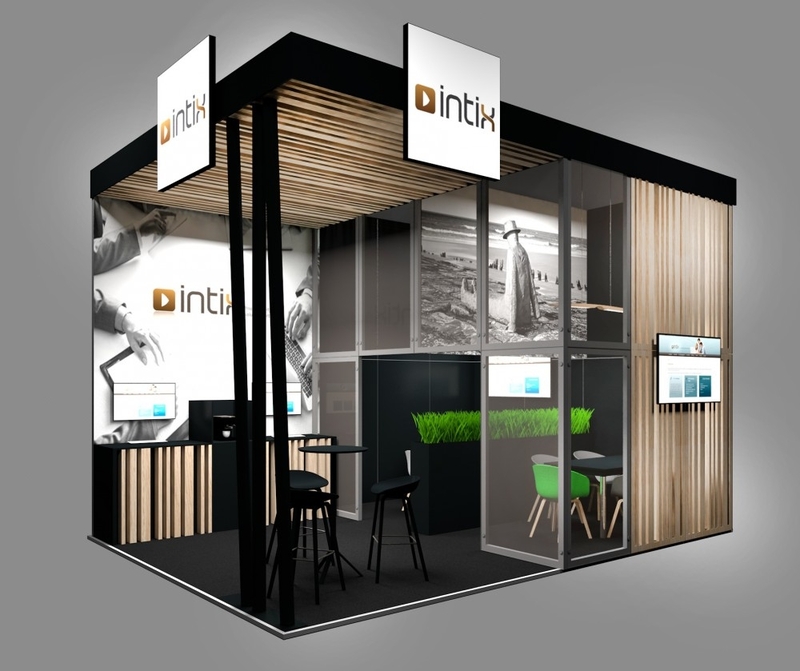 If the budget permits, the arrangement of your booth and its furnishings are completely personalised and “tailor-made” to create a unique project. This family company used to use the structure provided by the fair organiser. 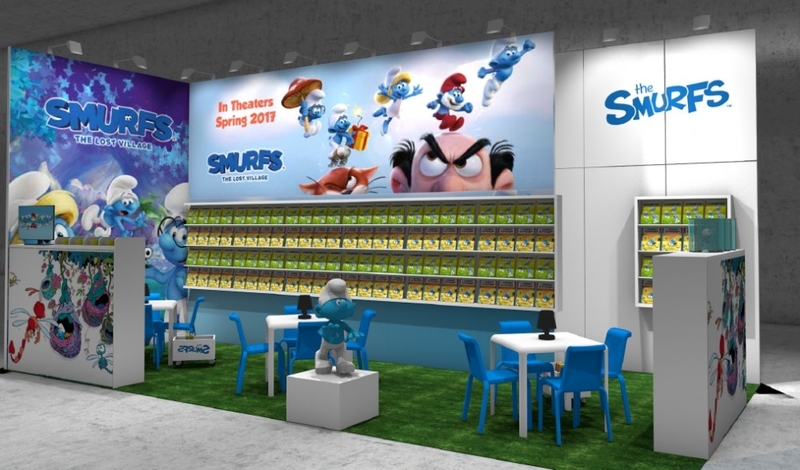 Following acquisition of the company by shareholders, the marketing department wished to create a booth that more qualitatively enhances its brand image. 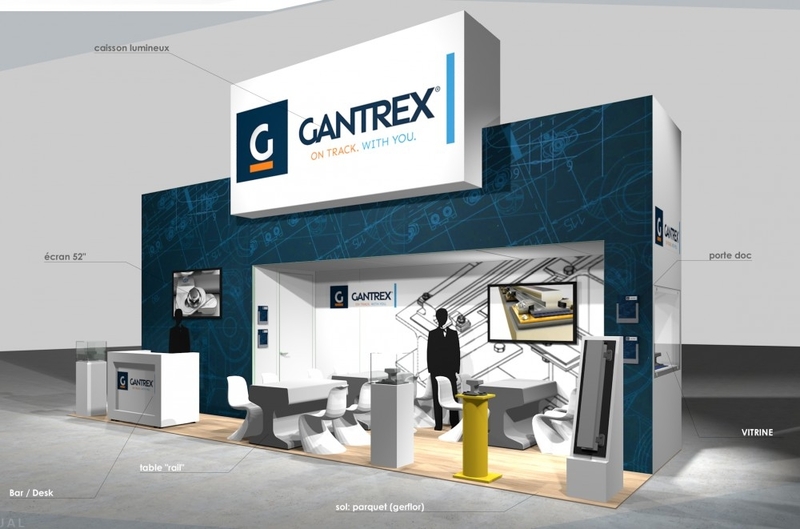 Gantrex entrusted the creation of its booth to us for 4 fairs. Based on the development of communication, the printed panels will be reused or reprinted. A part of the furnishings (tables and a display window) were custom made as an investment, while the rest of the furnishings are rented for each fair. The panels and custom-made furnishings are stored at Conceptexpo. Moteo Belgium entrusted to us over a three-year period creation of 5 booths per year, in Belgium, the Netherlands, France and Switzerland. 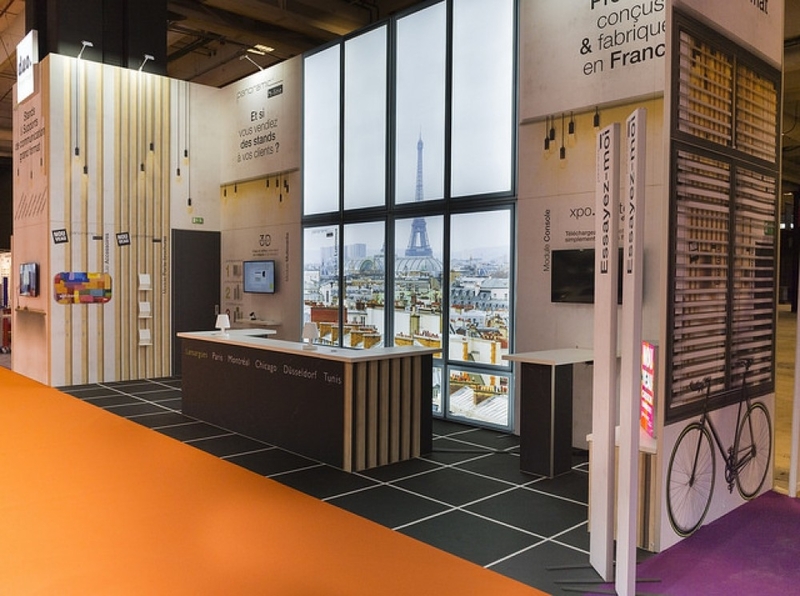 The goal was to create a reusable booth concept, using a modular structure and furniture usable in variable exhibition spaces (different number of open sides, area, etc.). This concept must comply with the regulations of each fair, the client’s budgetary constraints and be adapted to the different products and brands presented by the branches. 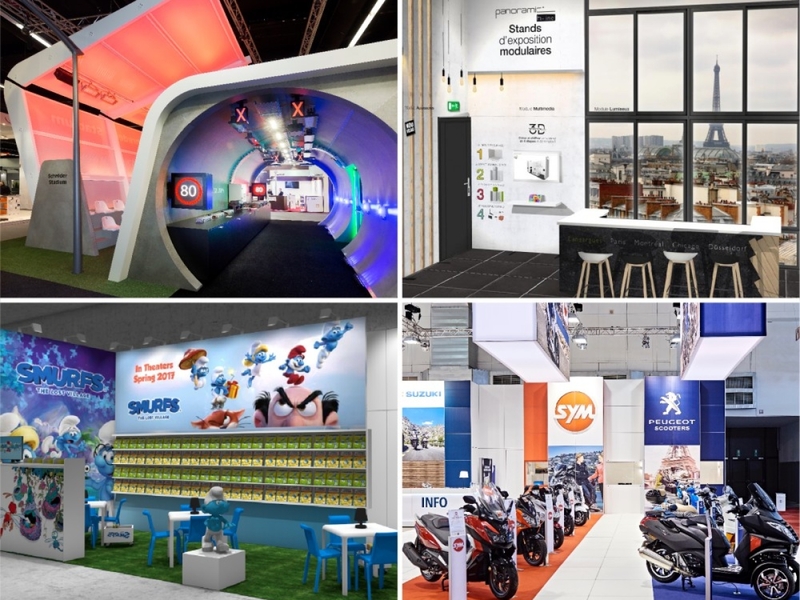 We opted for a be-Matrix structure and custom creation of certain elements, such as podiums with LED lighting, 3D logos, displays, lampshades and lighted signs that indicate product groups. All these elements reinforce the customisation of the booth, visibility of the brand and products. A giant screen provides audiovisual communication. Adaptation of the graphic communication and the choice of products presented make it possible to adapt to the development of Moteo Belgium’s marketing objectives. 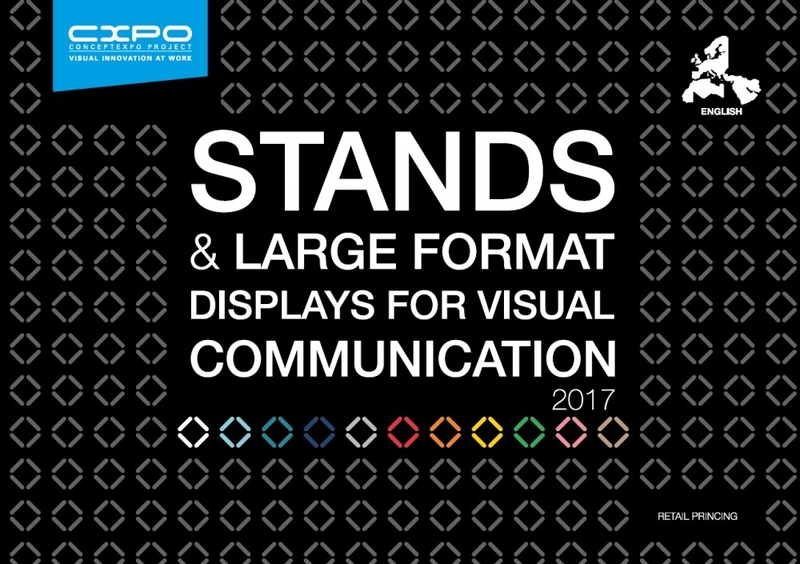 From design to assembly, all the stand logistics are managed internally by Conceptexpo. Only the dismantling is done in co-operation with a local partner. All the necessary equipment for the stand assembly and the presentation equipment of INTIX are directly shipped on site by sea. A very easy and secure management for INTIX. 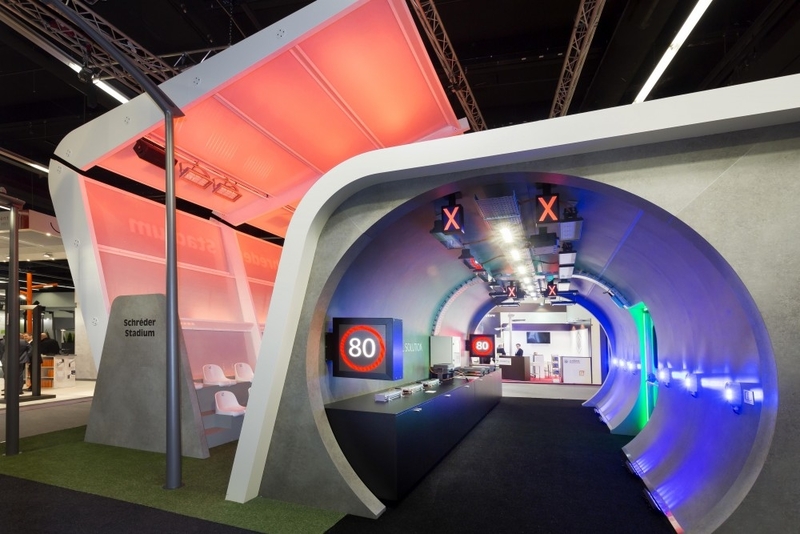 To demonstrate the product in a real situation, four living spaces were recreated in the booth: an urban centre, an industrial site, a sports stadium and even a real tunnel! So it’s a booth with many tailor-made designs that our architects have designed. 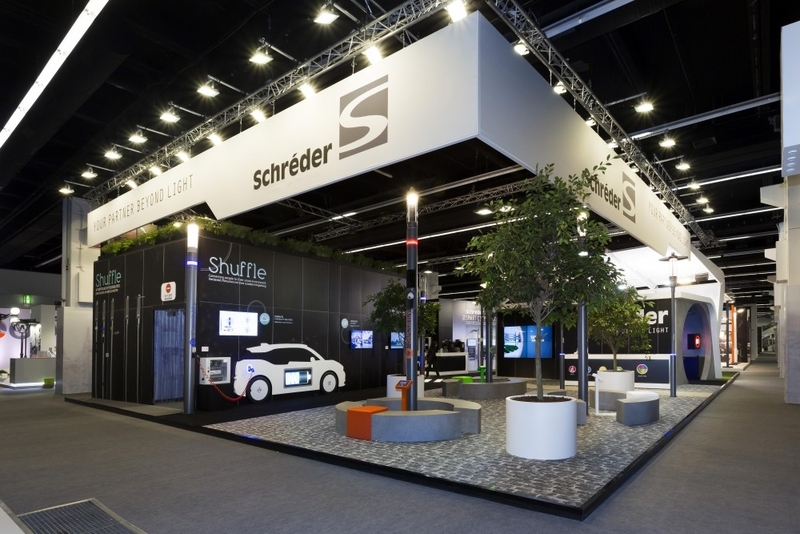 The Light & Building Fair only takes place every two years, so Schrëder decided to create this as a ‘one-shot’ booth. For this type of budget, we offer DUO line solutions. You will find all the products in the DUO catalogue. Your booth is built modular. The visuals are printed on textile and completely cover the structure; the colour rendering is exceptional and without reflection. The proof is in the impression below, which could make one believe in a real view on the Eiffel Tower. 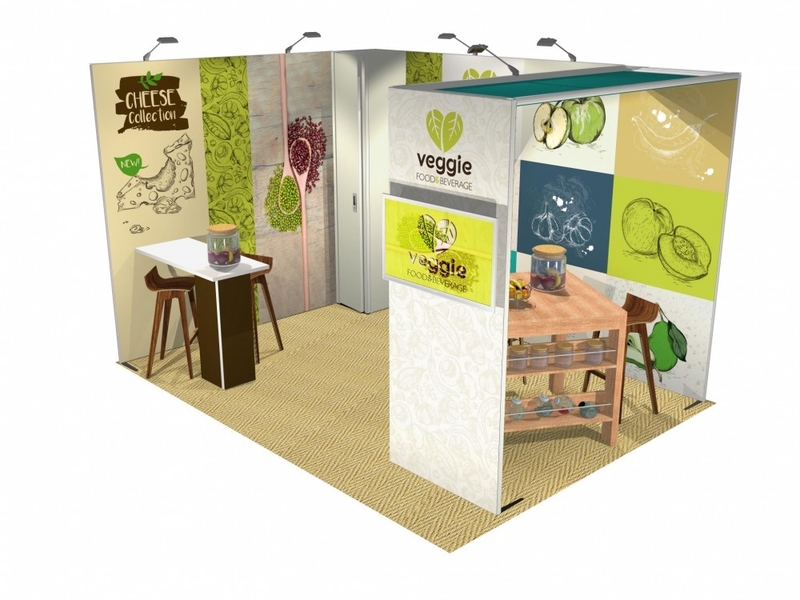 A 3D project for your booth lets you visualise it perfectly. If you wish, you can purchase your stand. In this case, you can store it and organise transport and assembly yourself. It is packaged in rolling bags or transport crates. This is clearly the most economical solution! Of course, if you prefer, we can take care of it. You can adjust your booth to adapt to different surfaces. To adapt your graphics communication, you only have to reprint your new visuals. You can also rent your stand for one-time use. In this case, transport and assembly are arranged by our crews. If you wish, you can choose even more economical solutions. 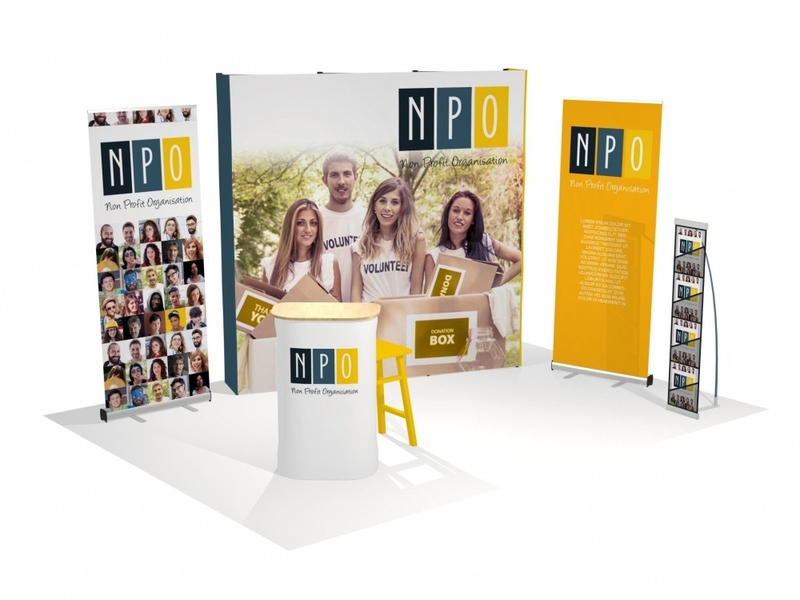 Lightweight solutions (< 20kg), such as pop-up booths, fabric mural walls, … which are easy to transport by car, train, plane and courier and which can be assembled in less than 15 minutes. Even more compact and lightweight (< 5kg), are solutions such as retractors, banners, flags which you can take anywhere: on foot, subway, train, plane. All these solutions are only available for purchase. 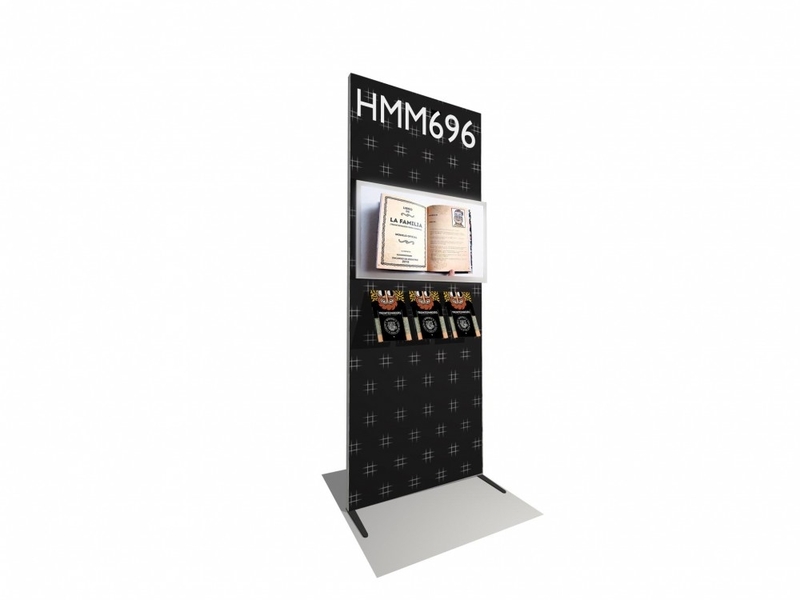 They are reusable and offer great flexibility of adaptation related to the changing exhibition environment and your communication. Do you want to organise your international presence? Contact us to discuss it!